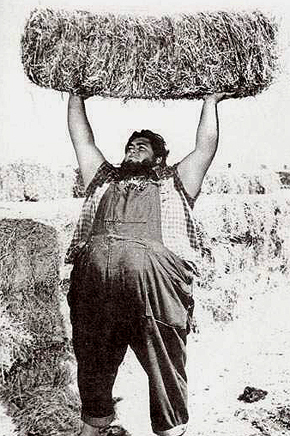 As one of the most famous ‘Country-Boys’ in Professional Wrestling history, Haystacks Calhoun started his career in the 50s and has been a beloved Babyface character for most of his run. His biggest claim to fame was wrestling for the WWWF World Wide Wrestling Federation from 1964 till 1979, where he won the WWWF World Tag Team Titles with Tony Garea in 1973. 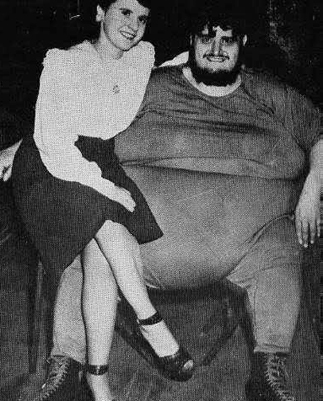 Haystacks retired from the sport of Professional Wrestling in 1980 due to health issues and lost his left leg to diabetes in 1986. He has yet to be inducted into the WWE Hall of Fame, which he – without a shadow of a doubt – deserves. Now Martin Levy is actually someone, very few of you have ever heard before, and even a lot less have seen his matches. That’s not because he’s not worthy of remembering, he sure is, but he wrestled a long time ago, when literally non of you Old School Fans were watching Professional Wrestling yet. Martin Levy’s career in Professional Wrestling started during the early 30s and he retired in 1951, one year before Vince McMahon Sr.’s founded CWC Capitol Wrestling Corporation, the promotion that eventually became known as WWWF, WWF and now WWE. Levy was once featured in an article in Time Magazine. Maximum Capacity is one of only 2 so called ‘Indy Wrestlers’ on our Top 12 list, who never made it to the big leagues. 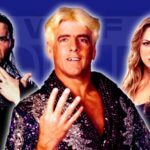 He started his Professional Wrestling career in 2001 on the Floridy independent scene, where he wrestled the likes of Jerry “The King” Lawler and Barry Horowitz. 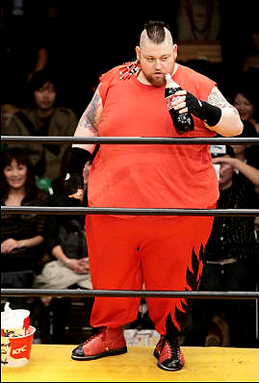 After wrestling in Japan for Zero-1 in 2006 and a few different stints in Europe, he eventually returned to the Florida indies, where he also wrestled his last match in 2012.